A versatile family of chairs, in which comfort, functionality and styling are complementary attributes. Filly is a family of five seats with steel structure, shrink-resistant rubber and removable upholstery in fabric, eco-leather or leather. The collection is composed by the following models: Filly , Filly up, with a higher back to improve comfort; Filly large, with a wider back; Miss Filly, featuring armrests; Filly too, which is a stool. 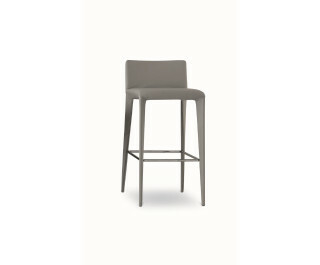 Available either in the fully upholstered version or with steel legs.